The ChangBao and SMS group project teams during contract signing ceremony. 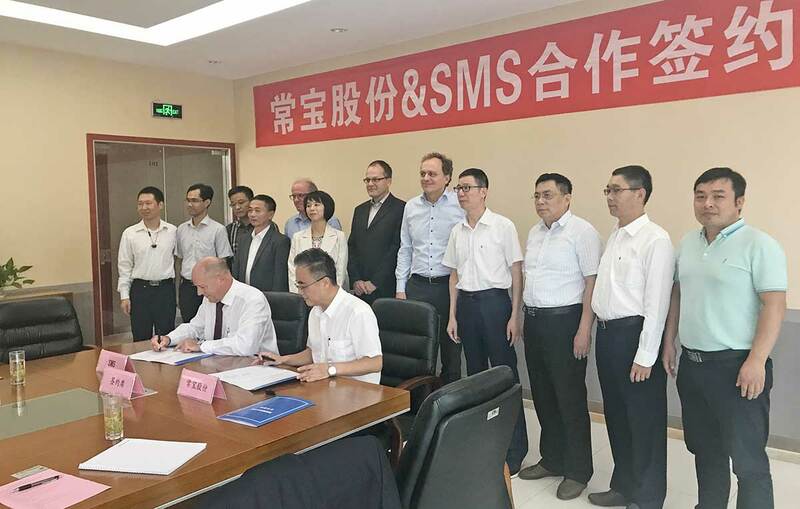 Jiangsu ChangBao Precision Steel Tube Co., Ltd based in Changzhou in Jiangsu Province, China, has awarded SMS group (www.sms-group.com) the contract to supply a new, state-of-the-art PQF® (Premium Quality Finishing) seamless tube plant and related automation. Particular highlights of the scope of supply include various performance modules and a KR I 35/45 CNC groove dressing machine. This highly automated plant will enable ChangBao to meet the growing demand for precise, high-strength tubes on the local market.